Today the Santos (STO) price opened at $6.10. Our clients average buy price is $5.15 – ie a profit per trade of $0.94 or 18%. Over the past 3 months we have recommended buying Santos 18 times. At $0.94 profit per trade that is a staggering total profit of $16.85. Pythagoras has not yet recommended a sell. Its not often that Pythagoras clients need to worry about dividends. However today may be that day as Santos is subject to an unsolicited, non-binding, indicative and conditional proposal from Harbour Energy for it to acquire 100 per cent of Santos shares by way of a scheme of arrangement. 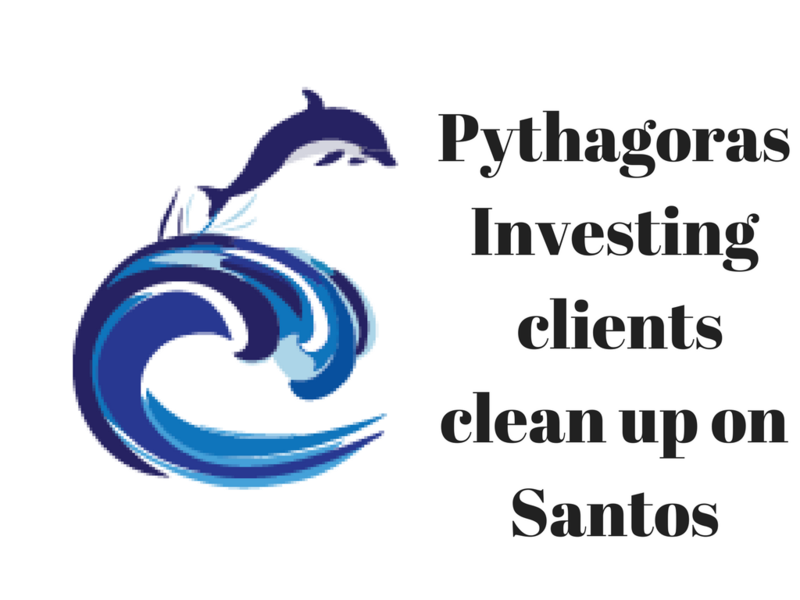 The indicative offer price is A$6.50 per share and represents a premium of 28 per cent to the last closing price of Santos of A$5.07 per share on 29 March 2018. The indicative offer price is comprised of the following components: A cash offer price of A$6.13 per share; plus a special dividend of A$0.37 per share which is expected to be fully franked. For those shareholders able to realise the full value of Santos’ franking credits, the special dividend would represent additional value over and above the indicative offer price of up to A$0.16 per share. But the story does not stop there. Now clients have to consider if they want to hang on to their position to collect a dividend in the scheme of arrangement which may amount to $0.53 per share – which amounts to another $9.54 for those 18 buys. When the Pythagoras sell comes the decision will be complicated for some. Sell and or wait for a dividend and take the risk! There will be some behavioural biases at play in this decision! Its unfolding fast.